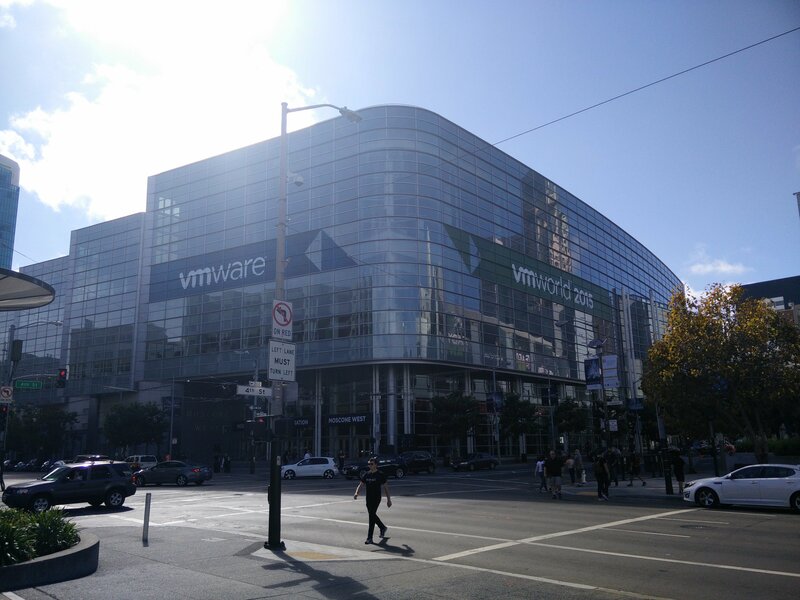 VMworld 2015 Roundup: Day 1 - T.B.D. Away we go! Unlike last year, there wasn’t really anything blog worthy on “Day 0” (Saturday). 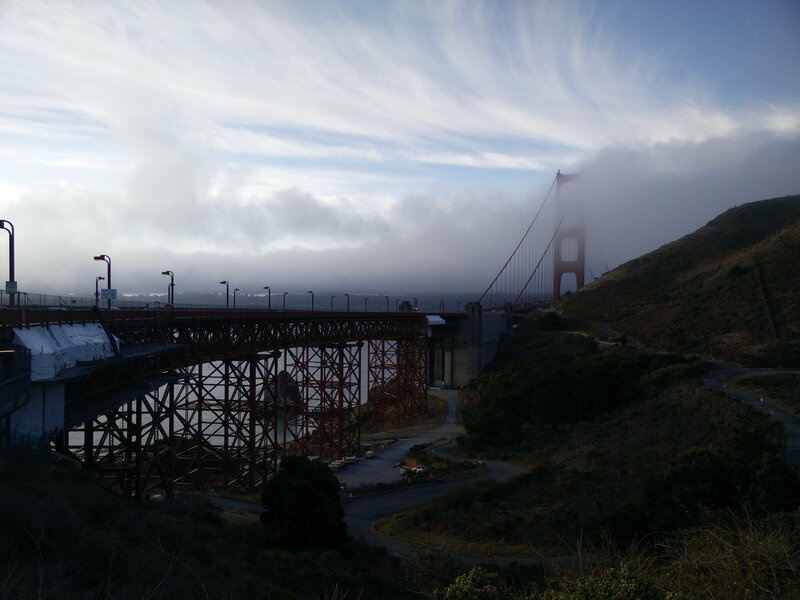 There was a VCDX Bootcamp scheduled for Saturday morning, however I arrived in SFO in the afternoon and had attended last years any. So Saturday was a travel, register and settle in day. Day 1! Sunday morning! VMworld 2015 5k fun run! Yay! It was a great run across the iconic Golden Gate Bridge (note the caps; yep, it’s a big deal). A big thank you to the organizers for putting this together and incorporating the bridge into the run, they do a fantastic job! I did find out, though, towards the end of the run that I could literally feel the lack of running practice I’ve put in lately. Sorry legs and feet, maybe we’ll prep better next year. Even though this is only its second year, the #VMunderground Opening Acts feels like the official kick-off for VMworld. This community driven event delivers three pairs of panel discussions. 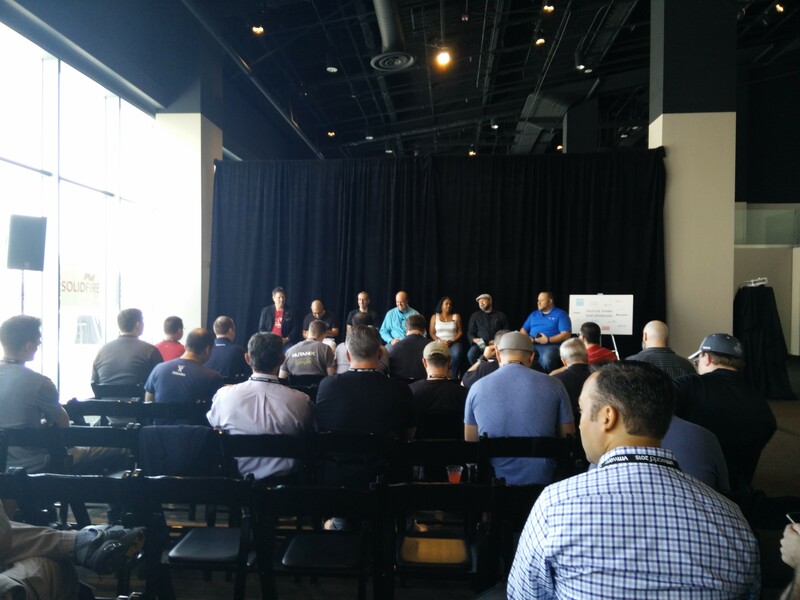 I sat in on the Infrastructure and the Automation & Orchestration panels this year. They were excellent, same as last year. Focus on critical infrastructure, basically the stuff that keeps moving the business forward and dump the cruft. Move your “no’s” and “slow’s” to “go”! We’re all slowly getting better at creating immutable infrastructure. Think like a developer as you “code” infrastructure. Data centres last for 25-30 years and the average age of a custom app is 15 years. Design accordingly. The conversation converged and wrapped up on Software Defined everything (SD*), pointing out that software is abstracting pretty much all infrastructure, and that’s not a bad thing. While vendors often say that a customer can do full automation and orchestration if “everyone just works together and figures out all of their processes”, reality at the customer site doesn’t quite match up. It’s a lot more obtuse and difficult in practice. Establishing a framework is a key approach. A mutually defined and standardized I&O framework allows different IT teams to figure out how to get things done on their terms as long as they meet standards. Remember that every time you say “as a service” there’s a whole bunch of automation and code required. There’s no way around that. Parameterize your scripts. Find the lowest common denominators and abstract the environmental or instance-based parameters. There are lots of scripts you could use as a reference on Luc Deken’s blog. As you write automation scripts, make sure you also automate your testing (oh and by the way, test). There are testing frameworks you can turn to. Have someone else test your scripts. It’s like having a separate editor edit your book. They’ll find things, both errors and improvements, that you wouldn’t. Read Luc Deken‘s blog. Seriously. I stopped off at the Hands On Labs, partly to give my legs a break, and partly to say hello to Noell Grier of CloudCred. Who else was at the booth but fellow Canadian CloudCredian @virtualquebec! I finished up the evening spending a few hours at the #VMunderground party. A gathering of community minded folks with no agenda, just good company and conversation. Thanks to everyone that puts on that fantastic event and to the sponsors who help make it happen. VMworld starts off at a run and the pace won’t slow down from there! Tune in for more summaries of the days ahead and find out if my legs are still ready for any.